Left rattled by the events of Dark Nights: Metal, Bruce Wayne must come face to face with the nightmares spawned from the Dark Multiverse. But even though evil devoured evil in the collapse of Challengers Mountain, the Dark Knight still has his doubts. 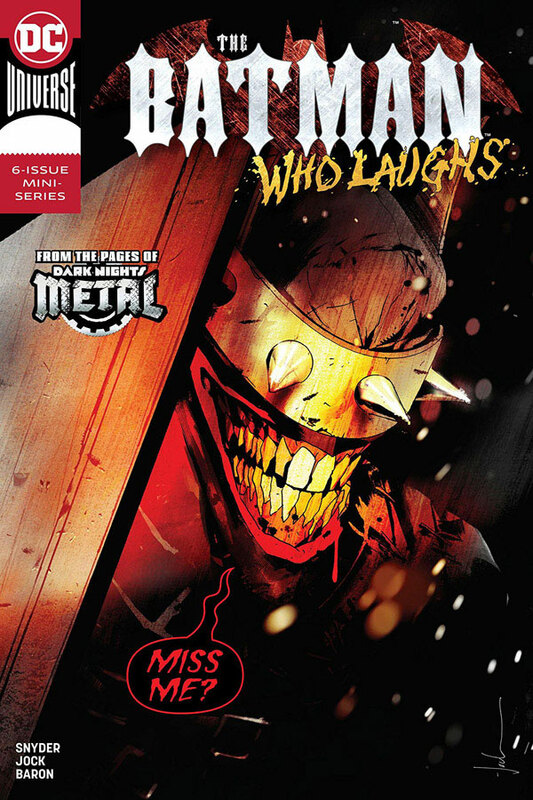 He discovers that the Batman Who Laughs not only survived the fight with The Joker at the end of Metal, but now he is enacting a sinister plan across the Multiverse – something both terrifying and oddly familiar. But when Bruce Wayne realizes the only way to stop this madman is to kill him, he must consider violating the very rule Batman won’t break… the same rule that created this insatiable villain – the Batman Who Laughs!